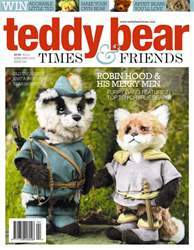 (0 Customer Reviews) | Write Review 6 issues per year Teddy Bear Times is the world's leading magazine devoted to the wonderful world of teddy bears. Our passionate editorial team bring you all the news from the bear world, plus in-depth interviews with top artists from around the world, fabulous photos, and fun features. We'll tell you about up-and-coming artists to keep your eye on, and bring you the best of the big shows. Patterns for making bears, antiques to collect, plus readers' galleries…if you love bears, you'll love Teddy Bear Times. Welcome to the first issue of Teddy Bear Times & Friends! We welcome all of our new subscribers from Teddy Bear & Friends magazine. In this issue, you'll meet artists from around the world including Karen Knapp of Tindle Bears, Cindy McGuire of China Cupboard Bears, and Rob and Shane Elliot of E2 Bears. Don't miss out on features about collectable bears, old bears, patterns, and so much more. 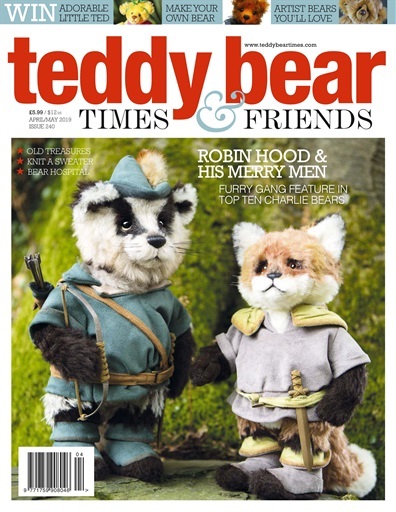 Teddy Bear Times is the world's leading magazine devoted to the wonderful world of teddy bears. Our passionate editorial team bring you all the news from the bear world, plus in-depth interviews with top artists from around the world, fabulous photos, and fun features. We'll tell you about up-and-coming artists to keep your eye on, and bring you the best of the big shows. Patterns for making bears, antiques to collect, plus readers' galleries…if you love bears, you'll love Teddy Bear Times.